"This book is an intriguing read with many well thought out characters. The writer is able to utilize his passion for angels and his imagination for other worldly experiences to create a memorable read." 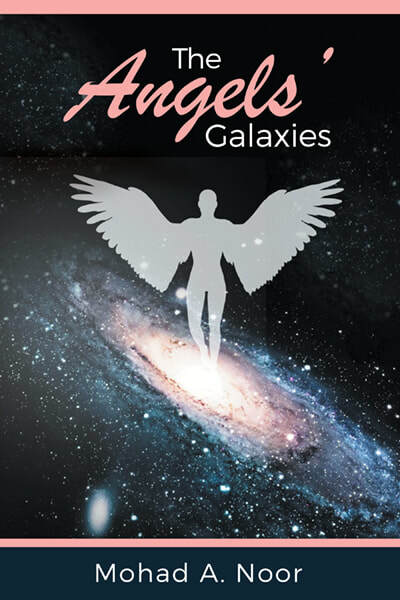 "Unfolding the dynamics of an alternative reality Angels' Galaxy delivers a complex, imaginable fantasy world that captures its audience from the outset. It's a definite page turner!" "An amazing book with true dedication to the angels!" "Debut author Noor offers a high-fantasy epic with Judeo-Christian trappings. There are various orders of angels in the universe, including Virtues, Powers, Principalities, Thrones, Dominions, and Seraphim, among others, and each are headquartered in a specific galaxy; the Principalities are in the Andromeda Galaxy, for instance. Young Princess Jennifer, the only daughter of King Jason of the Virtues, is a headstrong, compassionate warrior-in-training who loves her celestial home in the Comet Galaxy. In the ensuing fast-paced narrative, Noor shows considerable skill at building dramatic tension and delivering effective action sequences, while also ably developing the story’s young leads. The hybridization of Christian material with standard fantasy concepts, such as warring kingdoms and military orders, is enthusiastic. An energetic and unusual take on a familiar angels-versus-demons plot."